Fate, or rather work, took me to Albuquerque, New Mexico this weekend. My conference started this evening, but I flew out a day early to see more of the city. The flight from Denver was under an hour, and after grabbing my luggage and renting a car, I drove straight for REI. I walked in and told them I had one day in town and wanted a hike. 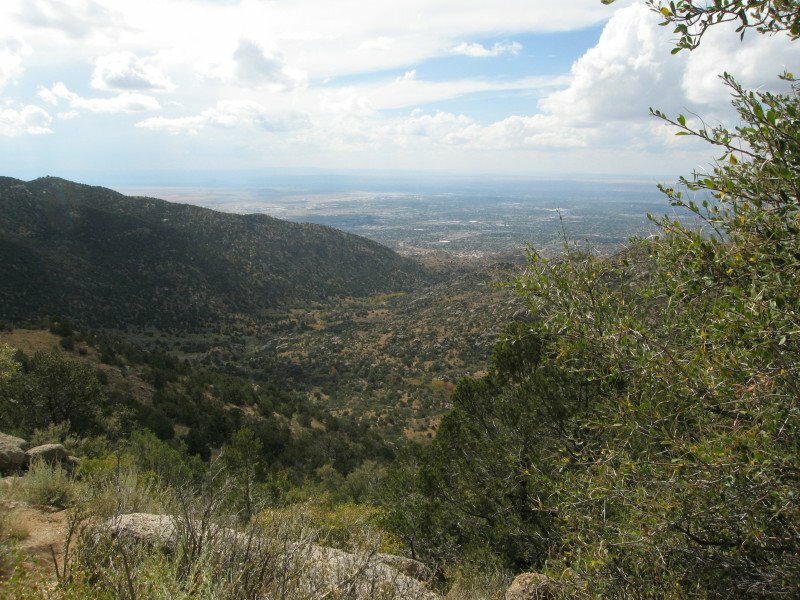 The hike I had planned was to take the tramway from town to the top of the Sandia Crest and walk along the top. Unfortunately, the tops of those peaks were in the clouds, and, well, I know what the inside of a cloud looks like. The folks at REI were extremely helpful, gave me a number of options, and even helped me print out a map for my chosen destination. 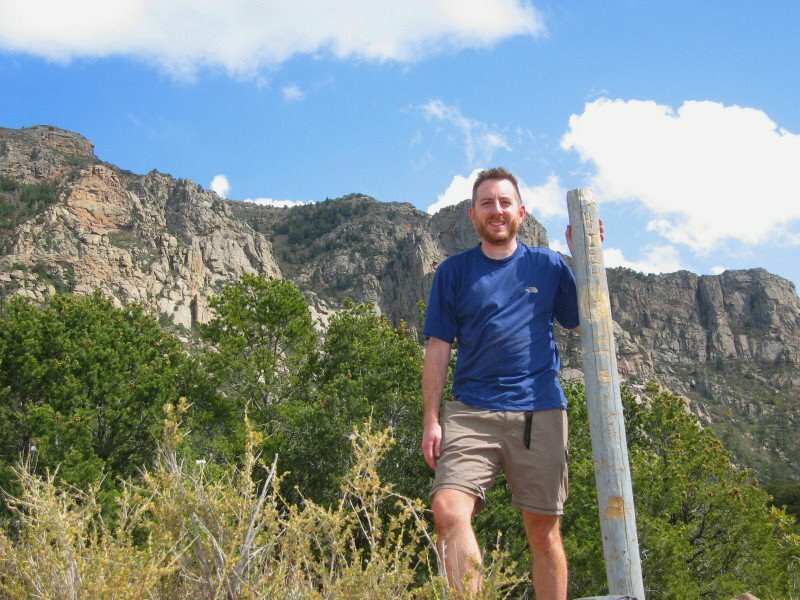 I hiked up Embudo Canyon, on the south side of the Sandia Mountains. 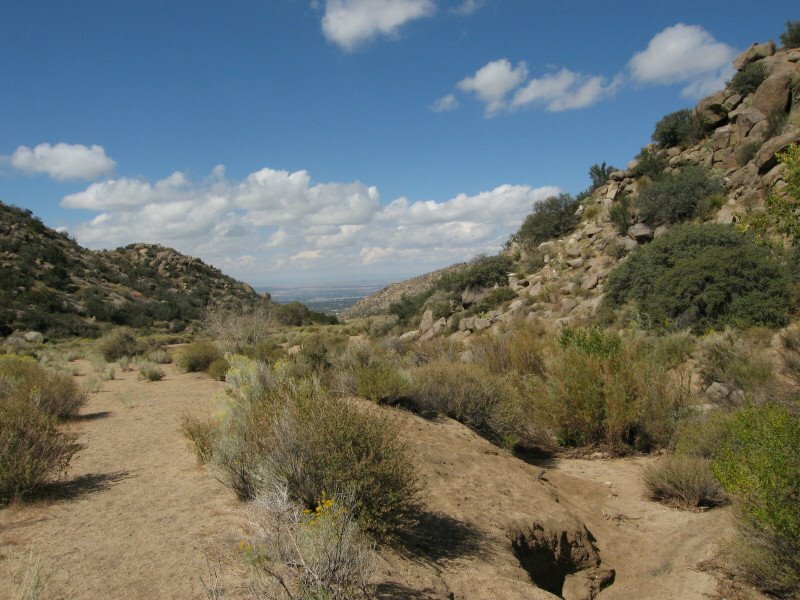 The trail started off looking like a city park, but after half a mile from an Albuquerque subdivision I was crossing into a National Forest Wilderness Area. I hiked up 3.2 miles up onto a ridge, with almost 1800’ of climbing. The lower stretches through the canyon itself had a running stream and lots of willow tree and other vegetation. 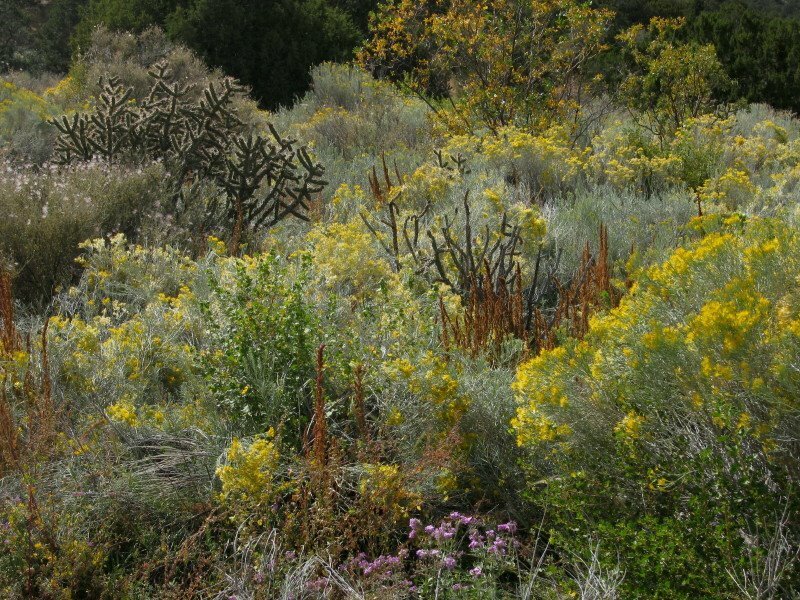 Past the narrows, the canyon widened up into meadows of yellow Rabbitbrush and (unidentified) purple flowers. There were so many flowers that the air smelled of them. The birdsong was constant as well. The upper stretches were a more typical pinyon pine mix. Views were constant, and cactus was everywhere mixed in with the shrubbery. A very cool hike.